"Trick-or-treat! Give me something good to eat!" Over 5k in store credit, over 15k in gift cards, fatpack item plus items of your choice from our varies designers sponsoring. Over 6k in store credit, over 7k in gift cards, plus items of your choice from our varies designers sponsoring. 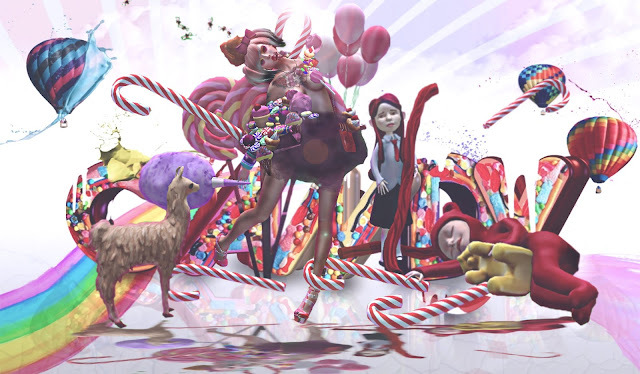 We are looking for creative photos including Candy/Halloween themes to help show what Candy Fair means to you! This is our 3rd year running this photography contest and we'd love to see what you can bring to the mix! We will announce the winners via social media, update group & subscriber on October 31st the last day of the fair! 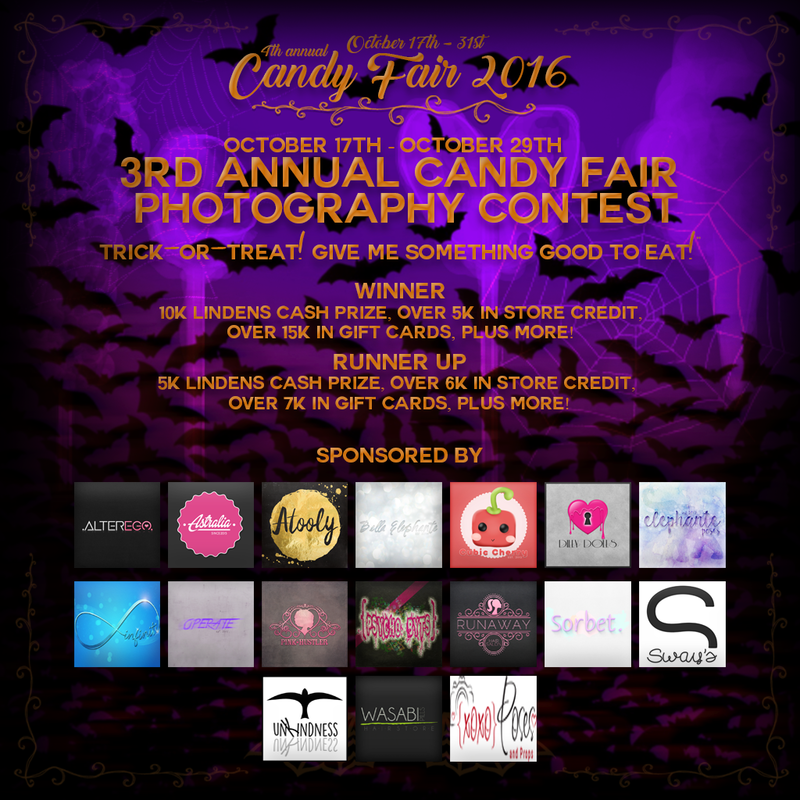 We look forward to seeing all your photography and we'll see you at Candy Fair 2016!